In this game of one-upmanship, who will be Lord of the Wings? 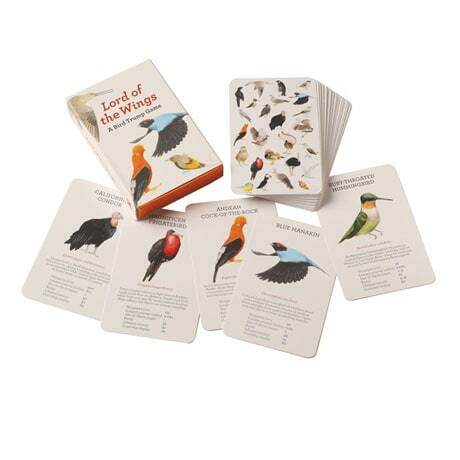 The thirty-two card deck features illustrations of avian beauties along with their scientific names, a brief descriptor, and their rankings in six categories: wingspan, longest journey, size of clutch (eggs), rarity, life span, and courtship display. Gather your friends, deal the cards, and go head-to-head to see who's top bird! For 2 to 6 players.